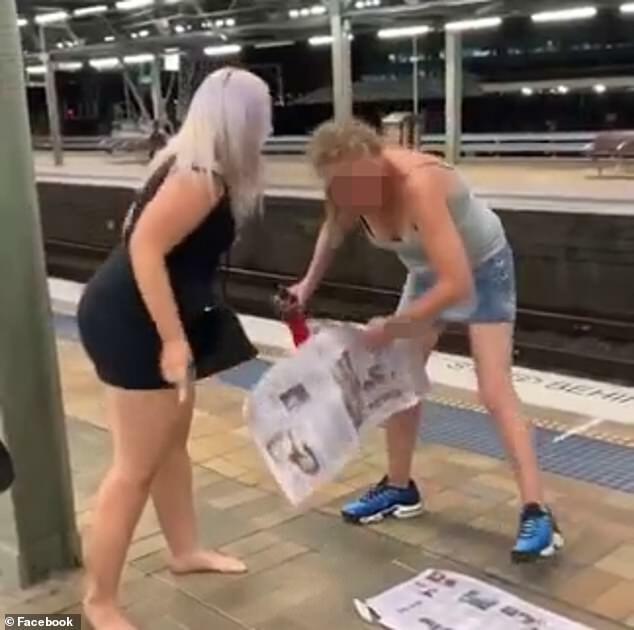 A profanity ridden and bizarre confrontation at a Sydney train station overnight was filmed and shared to social media. The video shows two women engaged in a verbal sparring match after one of them asked the other for a cigarette. While it’s not clear what the older woman said as she stood up to confront her rival, her words sparked an ugly confrontation. ‘Listen to you, you f****** junkie c***,’ she shouts back. The lady answers back telling the young woman she isn’t a drug user and proceeds to show her arms. ‘Look at that blood down your f****** legs,’ the young woman shouts. 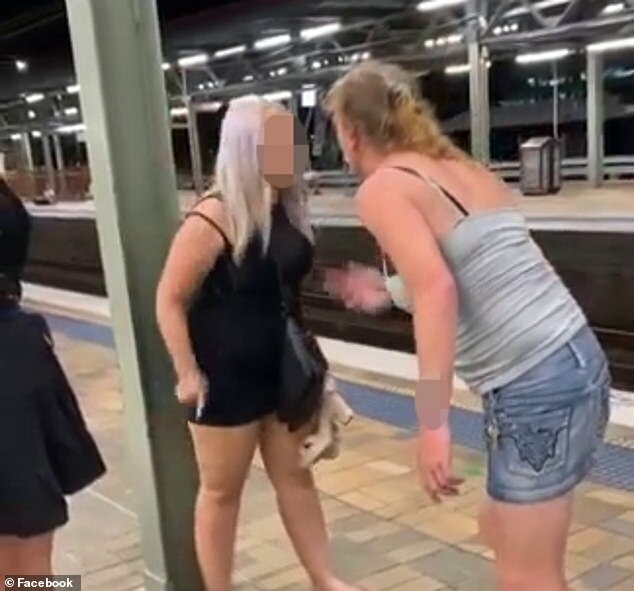 A handful of people are standing around watching the confrontation but none attempt to intervene as the two women continue to hurl profanities at one another. Eventually the young woman tells the other that she has no right to call her out just because she refused to giver her a cigarette. ‘Just because no one would give you a smoke? Go and buy your own packet,’ she said. The ladies then continue to repeat each other asking who each one ‘thinks they are’. The older woman eventually picks up her drink and newspaper before making her way up the platform, but not before the two level a few more choice words at one another. ‘Cya later, f****** c***,’ the young woman yells. ‘Look at you, you’re a beast, see ya later dog, s***! F**k off!,’ the older woman shouts as she moves up the platform. The video was posted to Facebook page S*** Lads and Lasses Do on Monday morning and had already garnered 177 shares and 49,000 views. ‘They sure love that ”f***” expression…makes them look so responsible members of society,’ one Facebook user wrote. ‘Both classy ladies,’ another added.